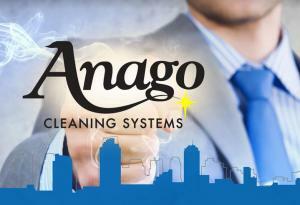 FT. LAUDERDALE, Fla. — Anago Cleaning Systems (Anago), an industry-leading commercial cleaning franchise with over 40 Master Franchise locations and more than 1,500 Unit Franchises throughout the U.S. and internationally, announced its newest Master Franchise has opened in Austin, TX. The Master Franchise is owned by Aaron Grohs, a sales and marketing veteran with significant franchise experience. Grohs has spent the majority of his professional career in commercial printing, including over 15 years with Consolidated Graphics in Houston. Grohs was a sales and marketing executive where he helped grow the public business into one of the leading commercial printing companies. After the company was sold in 2013, Grohs served three years as President of AlphaGraphics, a print and marketing franchise with over 250 locations worldwide. When he isn’t busy growing his newest franchise, Grohs lives in Austin with his wife and four sons. To explore Master franchise opportunities with Anago visit http://www.AnagoMasters.com.